"This is the renowned Peruvian Paso Horse or Peruvian Walking Horse," Johnny Chamba says. The smooth-gaited breed was declared a Cultural Heritage of the Nation by Peru's Institute of Culture in 1992. 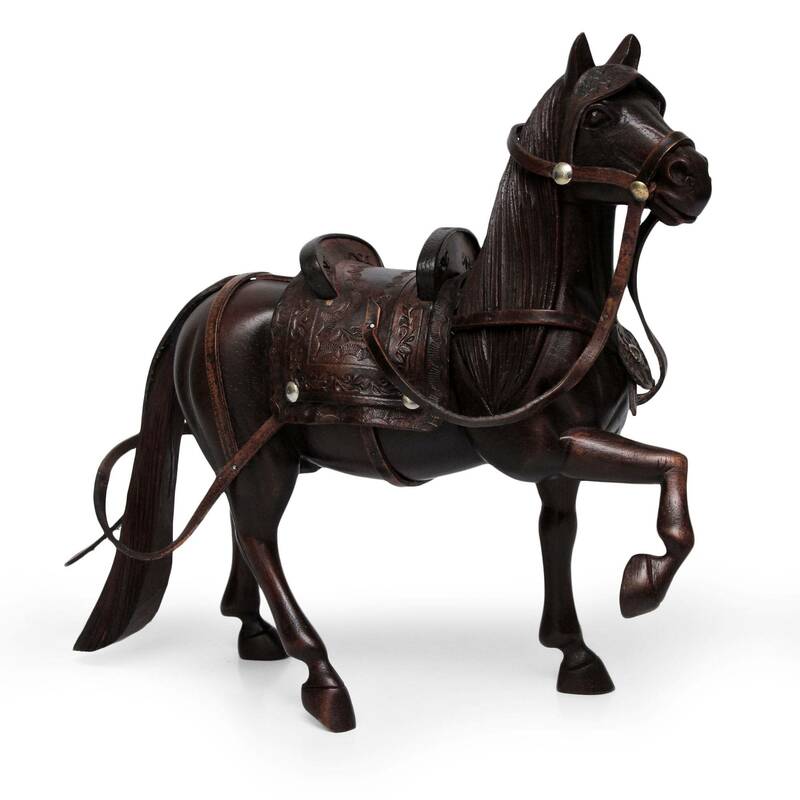 Masterfully carving cedar wood, the artisan depicts the horse in a tooled leather saddle and bridle.